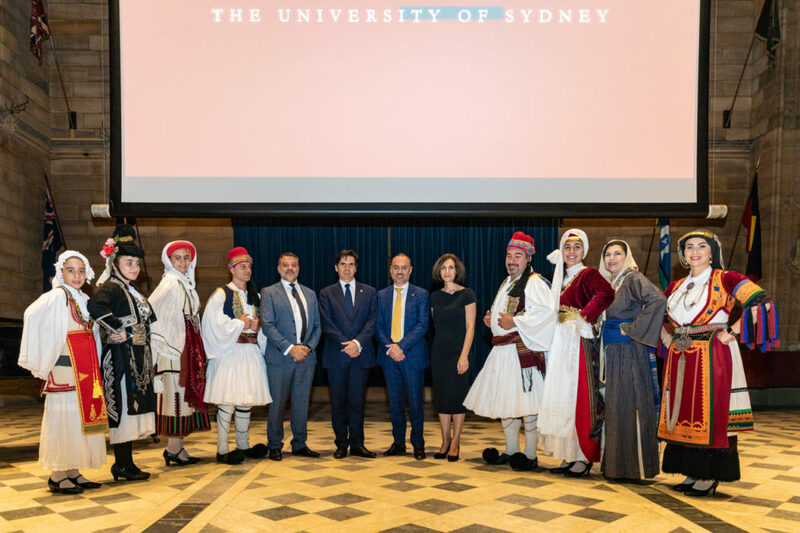 This year, the Consulate General of Greece in Sydney hosted celebrations for the 198th anniversary of the commencement of the Greek War of Independence, at Sydney University’s Great Hall. 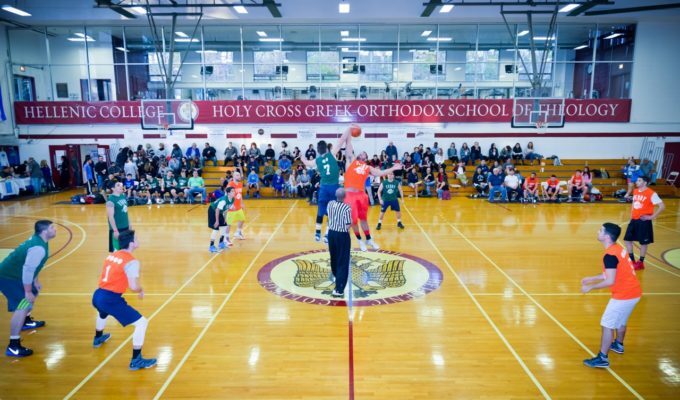 The Greek Australian community was also grappling with the loss of His Eminence Archbishop Stylianos Harkianakis, who sadly passed away after a long struggle with illness, on the 25thof March 2019. Greek Independence Day is a commemoration of the start of the Greek War of Independence against the Ottoman Yoke which commenced in 1821. 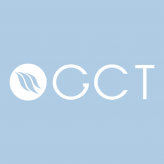 This marked the beginning of a long battle, while the forces of freedom and democracy drove the country to the establishment of the modern Greek state. 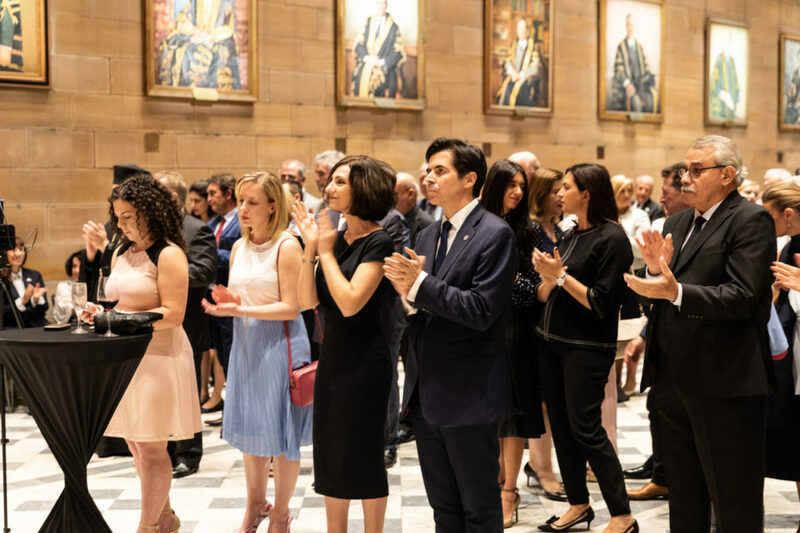 Sydney’s Greek Australian community in all its vigour boasts an unmatched sense of joy when it unites for notable events like Greek Independence Day. 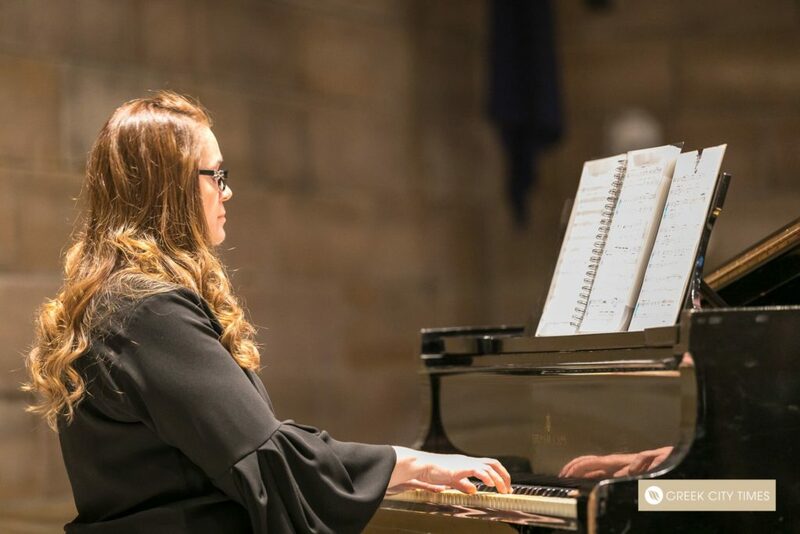 This year’s commemoration, while upholding an enduring sense of community, was nurtured by an undercurrent of both a mutual respect and great sorrow for the loss of His Eminence. 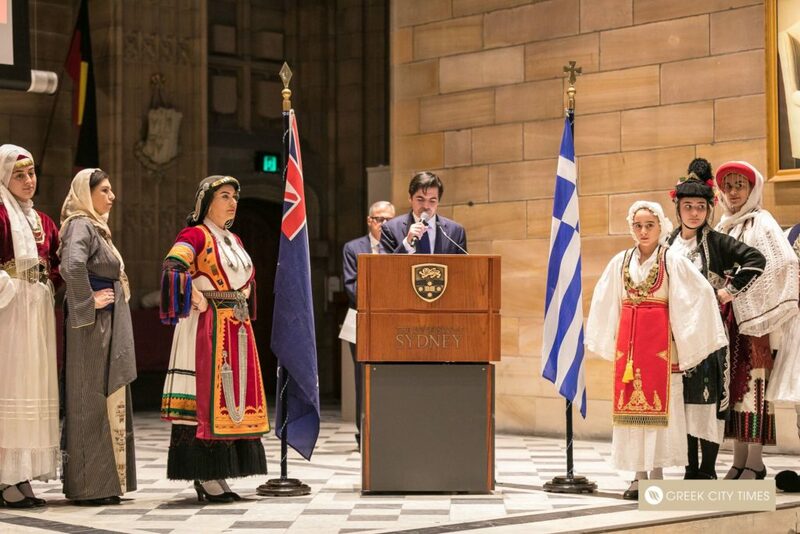 The Consul-General for Greece in Sydney, Mr Christos Karras, opened his speech by addressing this very notion. 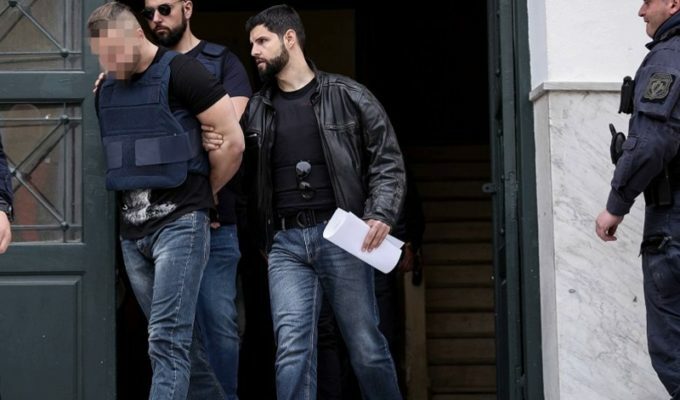 “We intended this day to be different, a pure celebration of the National Day of Greece, but instead, we also feel a great sense of sadness and loss, caused by the passing of our Archbishop,” he said. 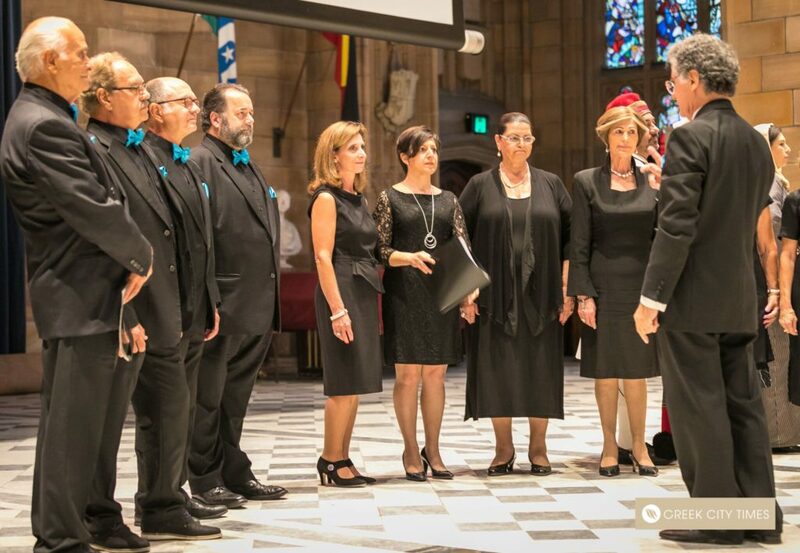 The host of the night, Mr John Mangos, also paid his respects to Archbishop Stylianos, referring extensively to his life’s work and abundant contributions to the Greek Australian community. His address was also followed by a minute’s silence in his honour. The room stood in solidarity as a wave of melancholy was shared throughout the pause. The withdrawal of the night’s cultural programme was then announced. Greek dancers withheld their performances, choosing instead to stand on stage in their traditional Greek dress, as a sign of respect to the life of His Eminence. 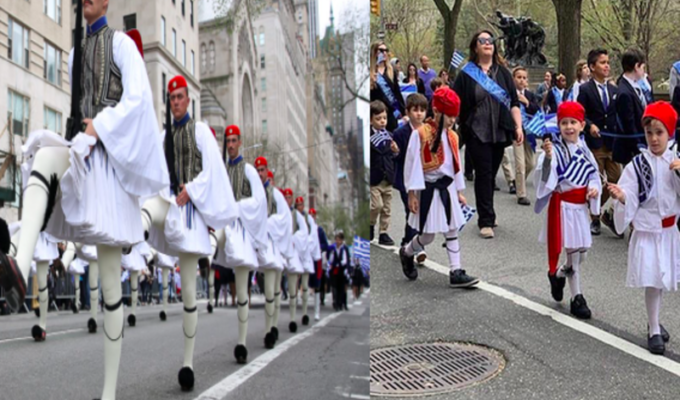 While the festivities were understandably overcast, the celebration of the National Day of Greece was not completely abandoned, and was acknowledged in an appropriately reverent and tasteful manner. 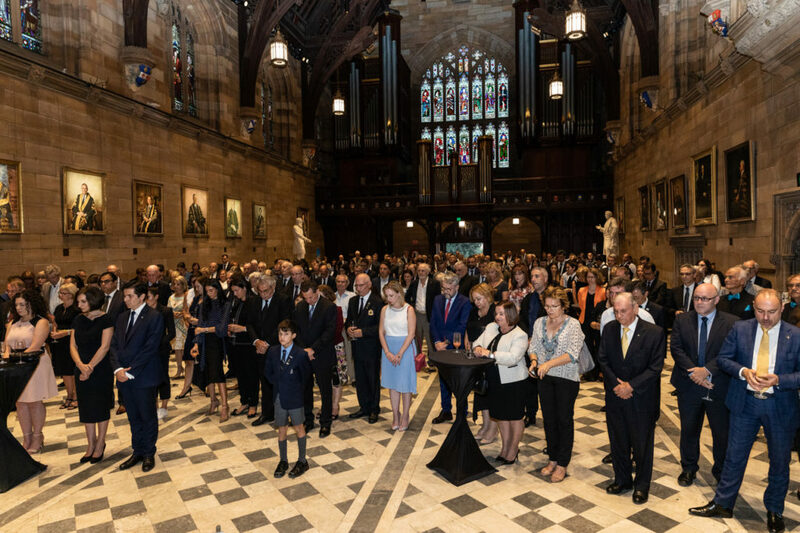 The room was filled with guests of mostly Greek background, though there were also many representatives from diplomatic missions across the globe also came to pay their respects, embracing each other in unity. 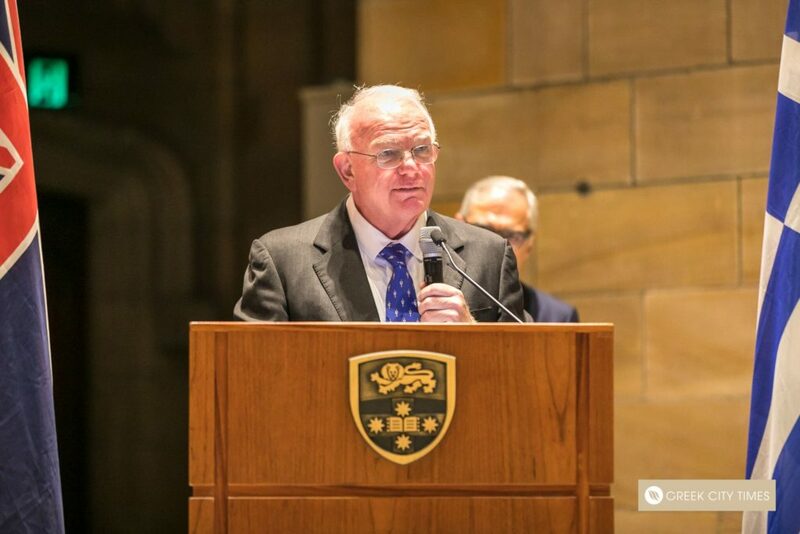 Key-note speaker, Mr David Hill, also had the success of the large Greek diaspora at the heart of his speech. Mr Hill is best known for serving as Chairman and Managing Director of the Australian Broadcasting Corporation, Chairman of the Australian Football Association, Chief Executive and Director of the State Rail Authority, Chairman of Sydney Water Corporation and more. 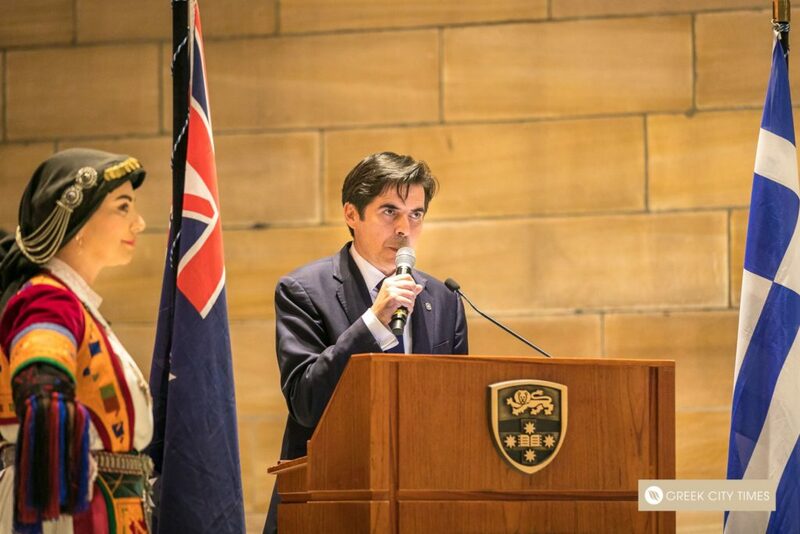 In addition, he is a passionate Philhellene, well-known for his work with the International Association for the Reunification of the Parthenon Marbles, and is currently Chairman of its Australian chapter. 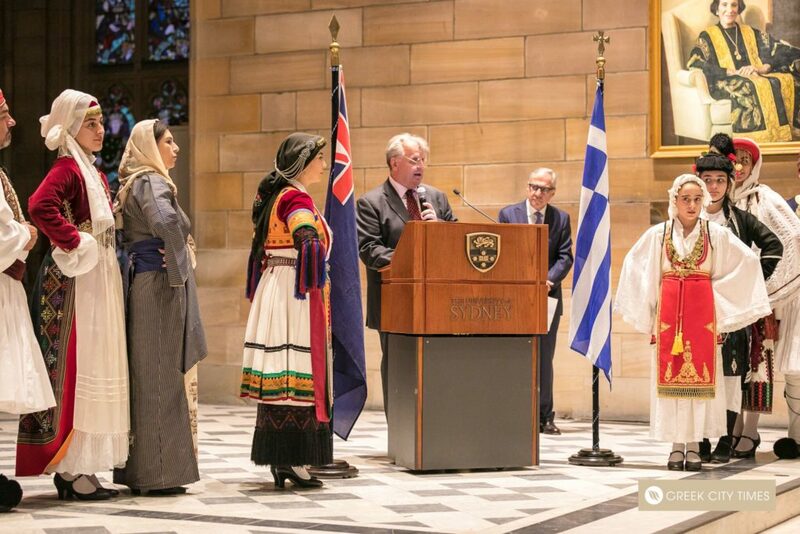 Mr Hill’s words at the Greek Independence Day event acknowledged the invaluable contributions of Greek Australians to multicultural Australian society. 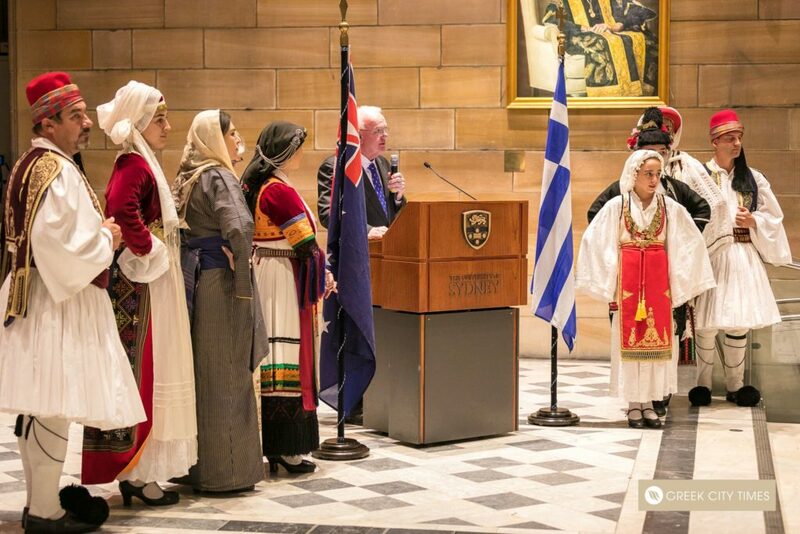 He also addressed the individuality of Greek Australian people and their warm acceptance of others. 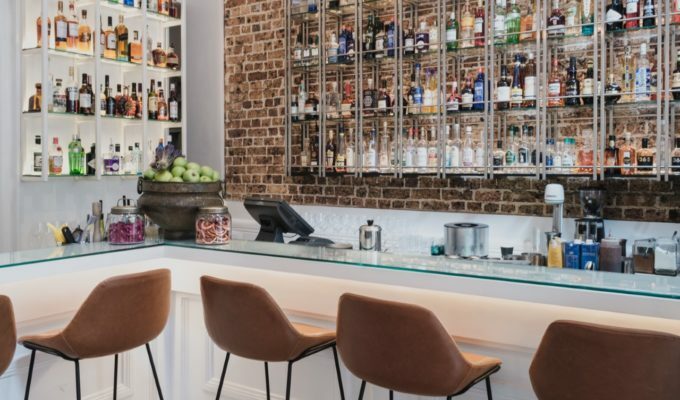 While many things have changed for Greece since the Greek Revolution, the values that all Greeks share, no matter where they reside in the world, are timeless and universal. It is these values of freedom, democracy, unity, and above all, Greek “filotimo” that will continue to be celebrated for years to come.